BENGALURU: He is not a part of the historic one-off Test match against Afghanistan but India captain Virat Kohli was the star attraction at the BCCI Annual Awards function on Tuesday as he received the prestigious Polly Umrigar Trophy (Cricketer of the Year) award for two consecutive seasons. The Indian skipper, who has been in prolific form, received the award for his stupendous performance during the 2016-17 and 2017-18 seasons. He is currently undergoing rehabilitation for a neck injury sustained during the IPL, which ruled him out of his much debated County assignment for Surrey. Kohli is expected to appear for a fitness test at the NCA on June 15. 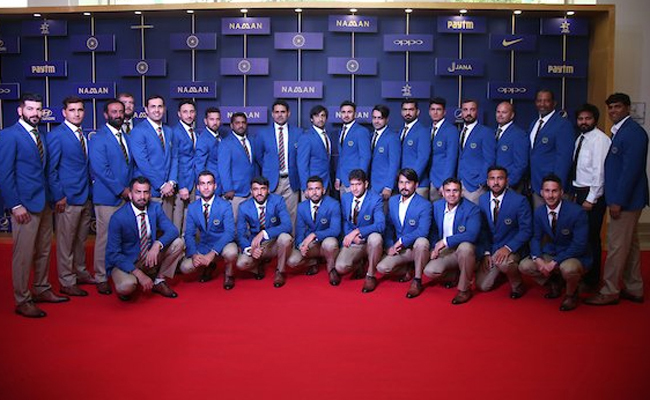 The Awards function was also attended by the Afghanistan national team which will take on India in their first ever Test match, starting Thursday. Former England captain Kevin Pietersen, who delivered the key note address for the MAK Pataudi Memorial lecture, was also present. It was an evening in which the past and the current generation of Indian cricketers came together under one roof. Anshuman Gaekwad and Sudha Shah received the CK Nayudu Lifetime Achievement award. The domestic cricketers got their due recognition as Jalaj Saxena, Parvez Rasool, Krunal Pandya were all feted for their consistent domestic performances. Jalaj and Rasool were adjudged ‘Best All Rounders’ in Ranji Trophy while Krunal was rewarded for his performance in the Hazare one-day championship. However, Krunal did not turn up to receive the award as he is on national duty with the India A team.